← How to print files of AutoCAD to bmp? 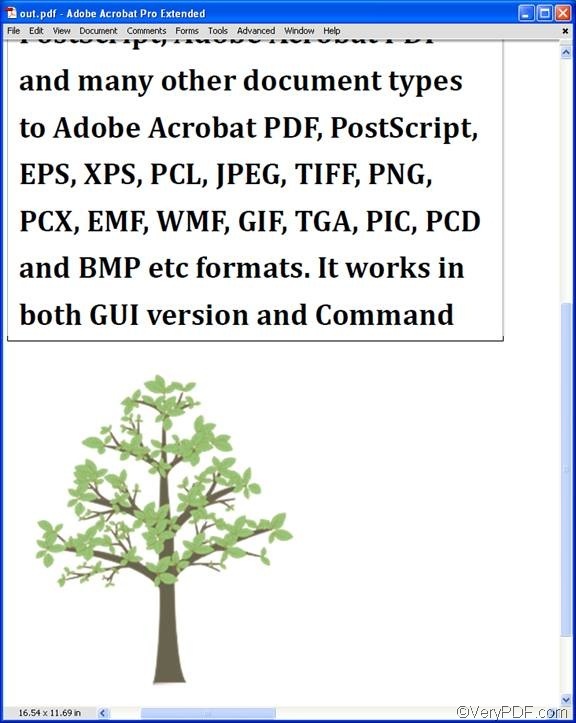 When you convert documents like Word to PDF, sometimes, you may find that the output PDF file contains portrait and landscape images, tables, or pages, which makes it difficult to read. Under such circumstances, you may need to rotate page during the process of converting Word to PDF. 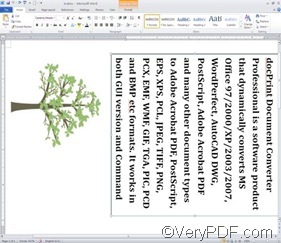 VeryPDF Document Converter, which also named docPrint, can help you rotate PDF pages. If you want to convert Word to PDF and rotate page in batch, you are strongly recommended to use the command line version of VeryPDF Document Converter. You will need to take three steps to solve your problem. The first step is to download VeryPDF Document Converter. You can try the free version for dozens times. After you install this application on your computer, please proceed to the next step. The second step is to open the command prompt interface. You are required to adopt different ways to open the command prompt interface, depending on the differences of the operating system on your computer. For example, if you are in Windows XP, you can click Start in the left-down corner on the computer screen, > click Run to open the Run dialog box, > type “cmd”. > And click OK in the Run dialog box. When you see the command prompt interface, please proceed to the next step. The last step is to type a command line and press Enter. The following will illustrate the basic usage of the main executable file of VeryPDF Document Converter, and give some examples. According to the circumstances on your computer, the command line you are going to type might be different from the examples. Anyway, please take a look at the usage and examples before you type a command line. 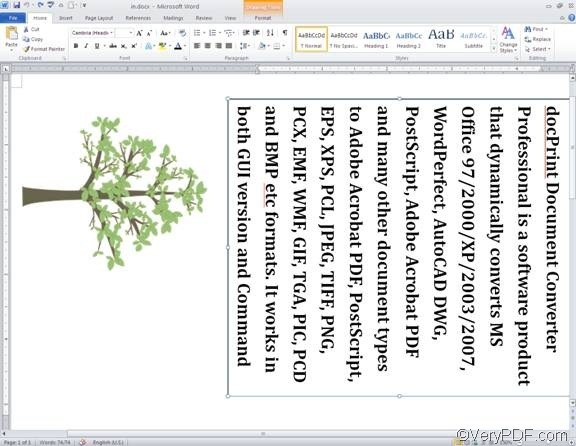 In the above examples, the first command line can be used to convert a single Word document in the format DOCX to a PDF file and rotate the page. The second command line can be used to convert all the Word documents in the format DOCX to PDF files and rotate pages in batch. 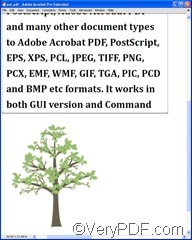 The following is a comparison between an original Word file and its result PDF file. Do you think VeryPDF Document Converter is easy to use? Do you want to know more information about it? Please visit the product web page by clicking here. This entry was posted in docPrint Pro and tagged command line, rotate page, word to pdf. Bookmark the permalink.